Average house prices in the UK increased by 0.2% between November 2018 and December 2018. "December’s figures confirm a slowdown in house price growth which is not really surprising given the time of year and ongoing Brexit shenanigans. " Annual UK house price growth slowed from 2.7% in November to 2.5% in December - the lowest annual rate seen since July 2013, according to the latest UK House Price Index. The lowest annual growth was in the North East, where prices fell by 1.0% over the year to December 2018, down from an increase of 1.7% in November 2018, followed by London where prices fell by 0.6%. House price growth was strongest in Northern Ireland where prices increased by 5.5% over the year, followed by Wales at 5.2%. The average house price in Scotland fell slightly on the month to £149,000, an increase of 2.4% over the year to December 2018. House prices in England grew at a slower rate than other countries of the UK, increasing by 2.3% in the year to December 2018, down from 2.5% in the year to November 2018. At an English regional level, the West Midlands showed the highest annual house price growth, with prices increasing by 5.2% in the year to December 2018, followed by the East Midlands and Yorkshire and The Humber which both rose by 4.2%. Average house prices in the UK increased by 0.2% between November 2018 and December 2018, compared with an increase of 0.4% in average prices during the same period a year earlier. Jeremy Leaf, north London estate agent and a former RICS residential chairman, commented: "This reduction in growth is not entirely surprising given that the figures reflect what was happening in November and December when Brexit turmoil was even more frenzied than it is now. But what has happened since on the high street is that we have seen the release of some pent-up activity and even investors and developers taking a more optimistic view than they have done for some time. "The market continues to be underpinned by a shortage of available property and very low interest rates. However, in order to successfully transact, realistic sellers need to make their properties compelling in terms of price, presentation, or both, in order to engage with fewer but more pragmatic purchasers. "If the chances of a deal with our European partners improve, we expect to see more balance between supply and demand and a firming up of prices without necessarily seeing a significant boost in them." Mark Harris, chief executive of mortgage broker SPF Private Clients, added: "December’s figures confirm a slowdown in house price growth which is not really surprising given the time of year and ongoing Brexit shenanigans. The national average figure masks significant regional differences with prices falling in the North East and London, whereas Northern Ireland and Wales experienced relatively strong house price growth. 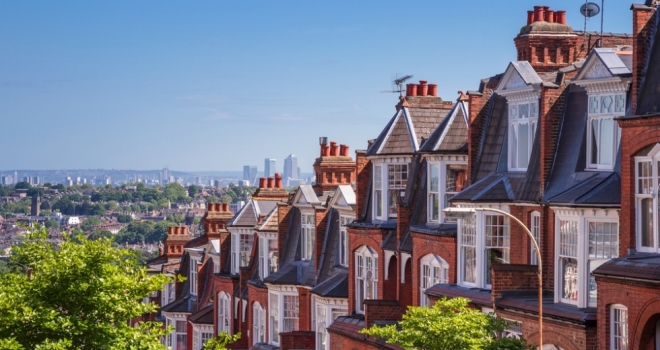 "With London property prices falling every month for the second half of last year, prices clearly need to correct, which is encouraging both for first-time buyers and second steppers trying to make a move up the housing ladder. However, let’s not get carried away as London remain the most expensive part of the country to purchase property so any price reductions should be placed in that context. "Lenders remain keen to lend, with rates extremely competitive. Not all lenders can compete to offer the lowest rate with some easing criteria instead, which is making lending more accessible for certain groups, such as older borrowers or the self-employed with just one year’s accounts. With Brexit uncertainty unlikely to lift anytime soon, interest rates don’t seem to be going anywhere either for the time being at least."